Water, the lifeblood of Mother Earth, is much more than hydrogen and oxygen. She is a mysterious, crystalline being who nurtures all life on earth. A carrier and producer of energy with the ability to transform and carry physical elements, information and energies as subtle as a thought. This isn't new age wishful thinking (we do a bit of that :)), or respect for the many ancient cultures that revered water as a goddess, but some interesting and very new science. Professor Boris Koch of the Institute for Polar Research in Germany discovered that water at the molecular level keeps a "memory” of all organic life forms that have existed in it! This discovery was made with the help of a powerful mass spectrometer which can decipher the structure of each molecule. The scientists called these "traces of life” in water and the "molecular memory of water”. Remember all those doctors ridiculing Homoeopaths when they said that? 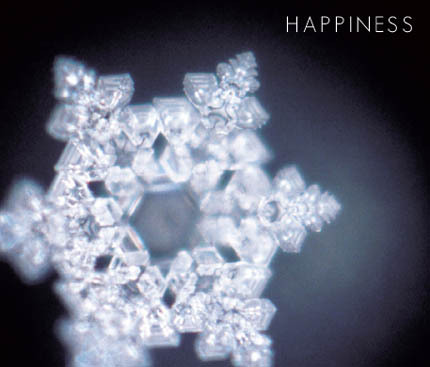 The well-known work of Japanese author and researcher Dr Emoto demonstrated that human intention, music, prayer and visualisation all have an effect on the molecular structure of water. Water reacts to positive input by developing beautiful and complex geometries. Negative input has the opposite effect and form is lost. It's worth mentioning that although much has been written in an attempt to discredit the work of Dr Emoto, it's good to bear in mind the work has been replicated several times. With water as impressionable as an insecure teenager, it doesn't take much imagination to see how the perfectly structured frequencies of crystals can easily influence both the water we drink and that which makes up 60% of our bodies and 70% of our brains. Earlier cultures understood water much better than we do today. Pure water was treasured. The ancient Chinese saved water in costly jade vases, Incas and Aztecs in obsidian jars and African witch doctors in quartz. Research has shown that the high silica content of these minerals allows water to keep its structure and prevent it from becoming "weak" and polluted. Natural water found in springs, rivers or lakes has its outer electrons complete. This is one of the keys to healthy water - how many electrons the water has or doesn't have. "Unstructured" water is missing one electron from its outer orbit, "structured" water has no missing electrons. The University of Georgia found that all diseased cells (no matter what the disease) were surrounded by unstructured water. Just as importantly, they found that every healthy cell was surrounded by "structured" water. This new understanding of the properties of water raises interesting questions about Enhydros. These are crystals that contain water (usually identified by a moving bubble), in its favourite silica based container, collecting impressions for incredible lengths of time. In the case of Brandbergs, this is well over a million years! We are taught in school that progress marches ever on, each generation riding another pinnacle of achievement. Inconveniently, the oldest cultures describe a very different chronology in which the current of the four ages ("Kali" in Sanskrit), is the winter of this vast cycle. Seen in that light, ancient water perfectly sealed physically and energetically in quartz, is infused with the frequencies and information of a lost age. We are now awash in a sea of electromagnetic frequencies. The long-term implications of this are largely unknown, but we are all pretty sure it's not good news. 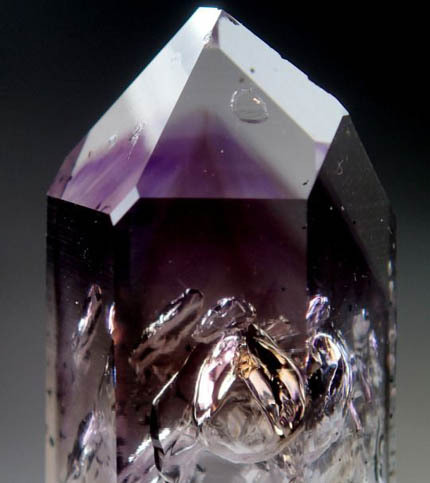 The perfect combination of water and quartz is natures tuning fork to past energetic perfection. 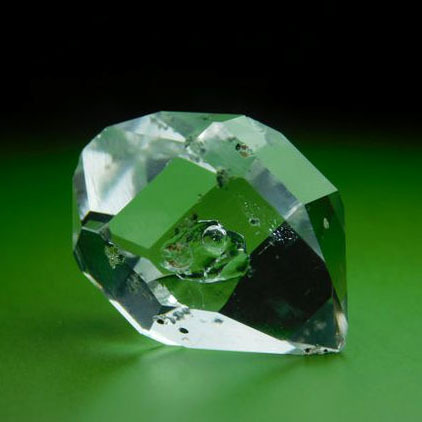 Quartz keeps the water healthy and strong while simultaneously preserving and amplifying the impressions it contains. Enhydros make available these original, pristine frequencies of Mother Earth and her many ancient children to heal and enlighten us. "Enhydros contain a life sustaining energy and the strength to help other minerals perform in the requisite manner." Melody, Love is in the Earth. I completely agree that water is more important the gold. Without water, we do not live long on this world.